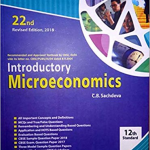 4 best economics books for commerce and humanities students of standard 12th, cbse board! Best part books are available second hand and on rent on Pustakkosh.com Noida or other centers near you. Save money with those options. As we all know economics is a really important subject for all humanities, commerce and even science students who have opted for economics. Here is the list of some books other than the NCERT books provided by the school, referring to which you can excel in your exams by not just passing in them but passing with flying colors! 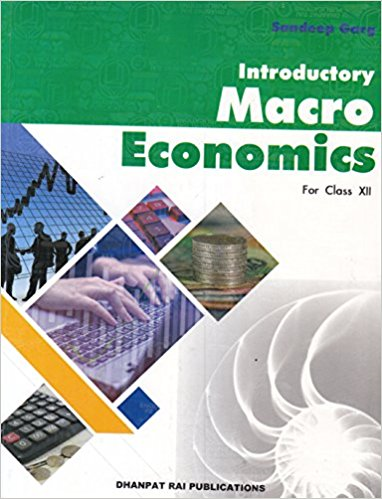 This is the best book for the micro part of the economics syllabus. It will help you score really well as it has got every single concept covered that the cbse board follows and lot of previous year questions and sums solved with new ones for you to practice. 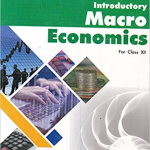 Macro economics by Sandeep Garg is one of the best books for the macro part of the economics syllabus. It’s a really good for preparations as its covers all types of numericals and comes with both solved and unsolved questions with HOTS(high order thinking skills) questions. Its written in easy language to understand! It has both the parts of the syllabus covered for you and has all chapters covered with a to do list that gives you a central idea of the chapter and its important parts. Each chapter is splashed with HOTS and has all value based and information and concept based questions. With CBSE slved questions and NCERT questions with hints to the answers! This book is totally worth the buy with pustakkosh making is easier for you by providing a renting as well as buying option in the most affordable prices. This book will help you score to your fullest as it covers all the concepts and all the relative matter (with power booster) and especially all the sums of national income. It has all types of numericals which have been explained in a simple manner to understand. It also comes with summary of the chapters at the end for the purpose of revision. You can compare and buy these book at a really good price on amazon. To buy click the link given below. Go for any one of these books according to your preference and you wouldn’t regret. You can score well just by studying from the books your own self. Solve all the unsolved previous year question papers with the help of your teachers and friends and you will do wonders. Visit http://www.pustakkosh.com/index.php to buy or rent books of your choice. Choose from a wide variety of books with affordable and pocket friendly prices. This entry was posted in Second hand School Books, Student Help, Online Books Rental, Second Hand Books For Used Books and tagged second hand economics book, second hand micro economics books, second hand school books, economics books on rent, top economics books, top school books, top humanities books, low priced school books, used school books, school books on rent by pustakkosh. Bookmark the permalink.